There’s no shortcut to creating a great customer experience. It takes a thoughtful strategy, a customer-focused organization, and a design that delivers on your brand promise. In today’s consumer culture, the creation of a great customer experience — and the ability to continue redesigning the experience — gives companies the opportunity to solve problems, improve customer engagement, and build stronger relationships with customers. But many companies fail to handle problems effectively, which contributes to poor customer experience and engagement. According to a 2016 study by Gallup, only 16 percent of 59 percent of the U.S. adults who experienced a problem with a company had a close-to-perfect resolution with the company. Customer experience design is the big picture of customer experience. With it, companies can focus on managing interactions across the entire customer journey and help solve customer problems. What is the objective of customer experience design? Customer experience design tracks and maps online and offline customer interactions and measures the effect of each interaction. That way, companies can more effectively engage with customers and build loyalty-driven long-term relationships. Every touchpoint in the customer journey should be designed to provide experiences based on the brand’s mission. So, before you can design your experience, you need to have already mapped the customer journey, which starts from the time customers begin to interact with your business (including the discovery phase, when they are browsing social media, search engine results, and online reviews). Customer experience design creates a structured opportunity for companies to innovate on their products and services. According to the Smith Consultancy Group, how and when you ask for feedback and how customers provide feedback are also touchpoints. You can collect customer feedback by asking for a review on Google. Or maybe a customer posts a review on Facebook, which you then respond to. Your feedback request and your response to the review are therefore both touchpoints. 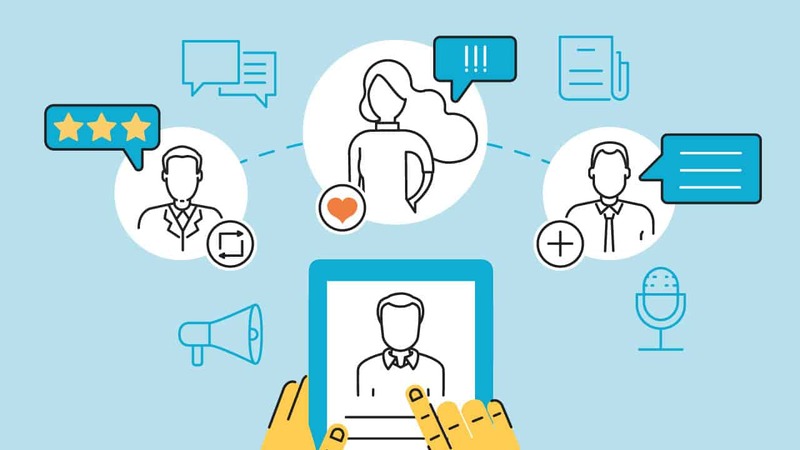 A major part of a customer experience is the emotion customers feel towards your brand: if the experience is positive, there is a spark between the customer and the company. That spark is critical to business success. A McKinsey report details how 85 percent of customers purchased more products from a North American bank after a positive experience. But after a negative experience, more than 70 percent of customers lessened their commitment. Can Customer Experience Design Solve World Issues? He goes on to say that “consuming is no longer about making the smartest but also about making the most ethical choices.” Giesler argues that the change in consumption is a result of the marketing process called “consumer responsibilization,” which puts the responsibility of world issues, such as the environment, into the hands of the consumer instead of governments and corporations. The use of customer experience design can help solve some of the world’s most pressing issues such as poverty, healthcare, and access to clean water. Some of the leading experts in customer experience design are not in companies, Giesler says; they work at organizations like the United Nations and World Economic Forum, Giesler says. “Many experts believe that solving these and other global issues is less about top-down regulation and more about influencing consumer behavior,” Giesler says. If you want to give back to society and solve problems, there’s plenty of ways to do that with what you already have. Look around you for causes and/or organizations that you care about. You will be surprised how often these organizations struggle in getting the word out about what they are doing. When you go onto the street, you’ll often find that 90%+ has never heard about the organization. Solidly designed promotion materials will help them in getting the word out, helps them attract more funds, and eventually help more people. As a graphics designer you can make sure that people pay attention to things that in your opinion deserve attention.